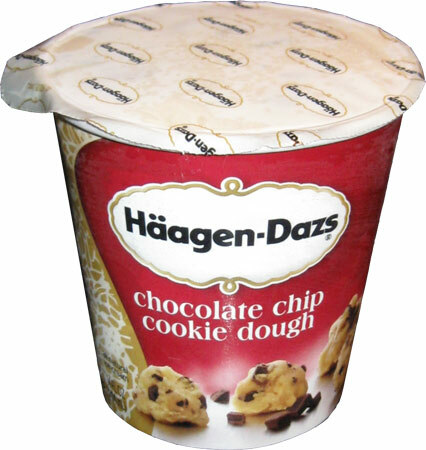 The other day we cracked open a classic container of chocolate chip cookie dough from Haagen-Dazs. I'm not expecting it to be bad, but I am wondering just how good it can be. As you can see, the cookie dough is a generous size and I will add that they are of excellent quality... BUT let me be picky. this is chocolate chip cookie dough, but it has come out as chocolate chips & cookie dough. I'm not heart broken or anything, but if you show something on the container, that's what should be inside. 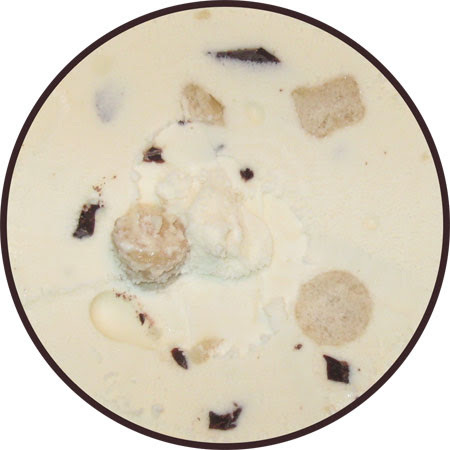 The base ice cream? excellent! Cookie Dough? excellent! chocolate chips? excellent! Everything is well done. I have no major compliants other than the fact I could do with some more chips. Well, that and the fact that a single serving clocks in at a WHOPPING 60% 55% of your daily saturated fat. 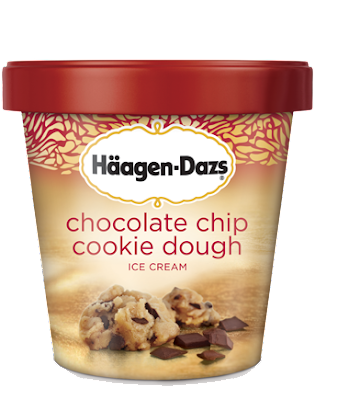 On Second Scoop [2012 edition] : Oh man, I was really hung up on the fact that there were no chocolate chips in the cookie dough despite them being shown that way on the cover. What I should have done was emphasize how insanely soft and buttery the cookie dough balls really are. The only problem we are having at the moment is a strange grit to the ice cream, but I'm thinking Market Basket's freezers have been working a little too hard or something. I've tried this one a few times now, and I think your review is spot on. Plus, I actually like that the chips are separate from the cookie dough. It's a really excellent ice cream, though I think I still prefer Ben and Jerry's version.